With Mother's Day just around the corner, I thought it would be the perfect time to share a tutorial on birthstone necklaces. 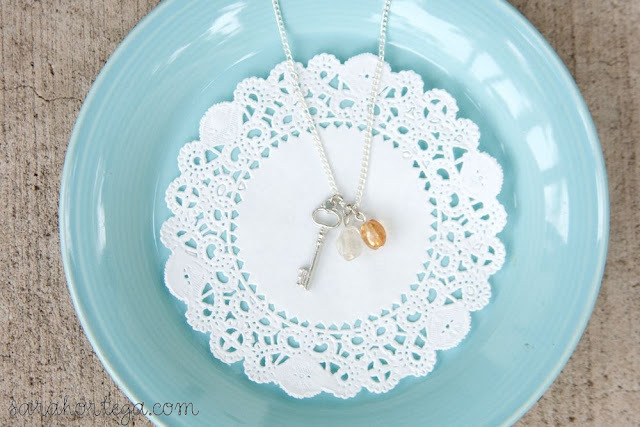 These make such lovely and personal gifts that any Mom or Grandma would love. 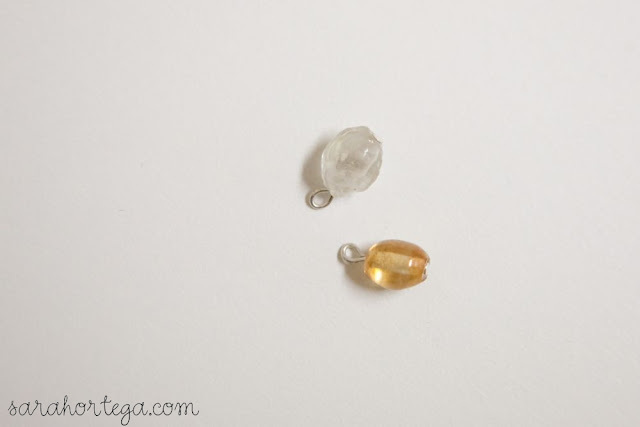 I tried out a few different ways to display the birthstones and each method is so easy that you can give all of them a try! Take a bead and slide it on to the eye pin. If you have excess wire, cut it off with the wire cutter. You should leave about 1/3 inch of wire to make a loop. Next, grab the end of the wire with your needle nose pliers and start rolling towards the bead until the end of the wire meets the other end and forms a loop. Attach a 4mm jump ring to the beads and to the charm/pendant. Slide the chain through the jump rings then attach a lobster clasp and a 7mm jump ring to the ends of the necklace. Simple and oh so lovely. String the beads onto the eye pin. Leave about 1/3 inch of wire to make the loop. Cut off any excess wire with the wire cutters. Grab the end of the wire with your needle nose pliers and start rolling towards the bead until the end of the wire meets the other end and forms a loop. 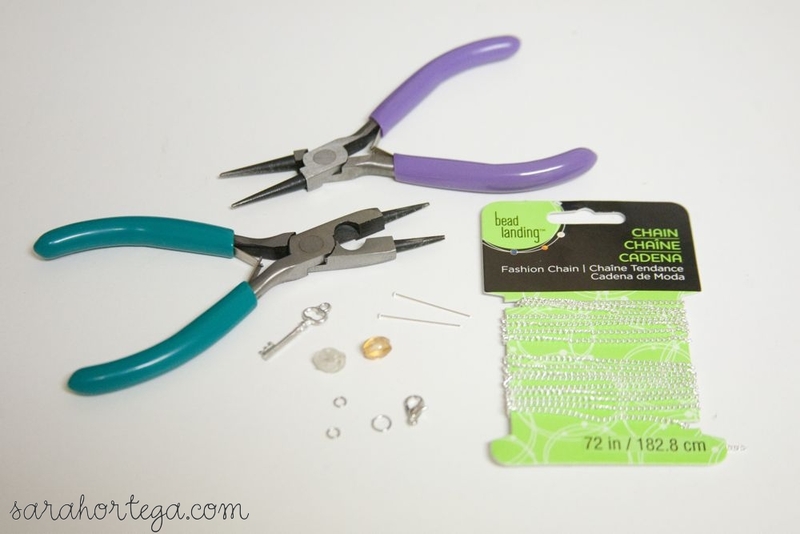 Using a 4mm jump ring, attach a piece of chain to each end of the eye pin. 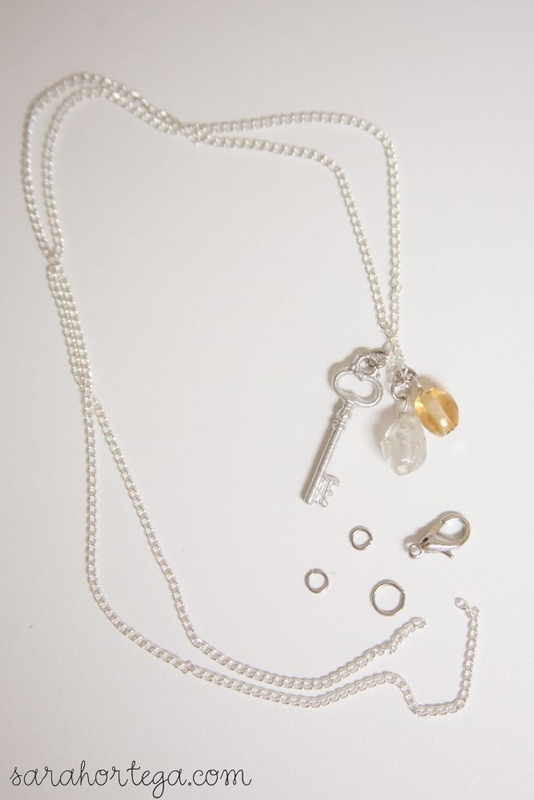 Attach a lobster clasp and a 7mm jump ring to the ends of the necklace and you're done! Does it get any easier? 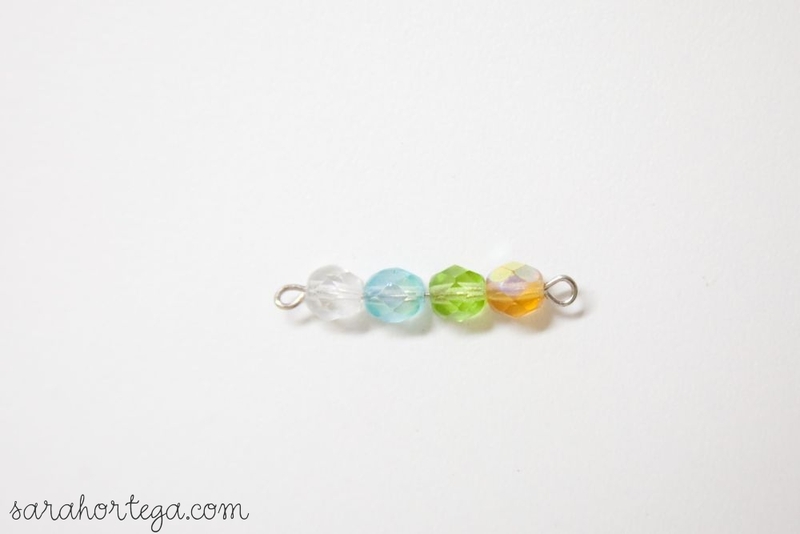 You could also use the same concept for a pretty bracelet. 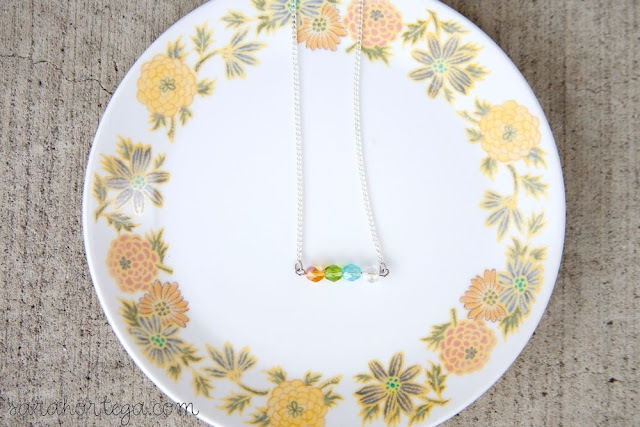 Using birthstone beads, you can personalize the pendant and create a beautiful necklace that represents a mother's nest holding her loved ones. I made this necklace as a gift for my mom. 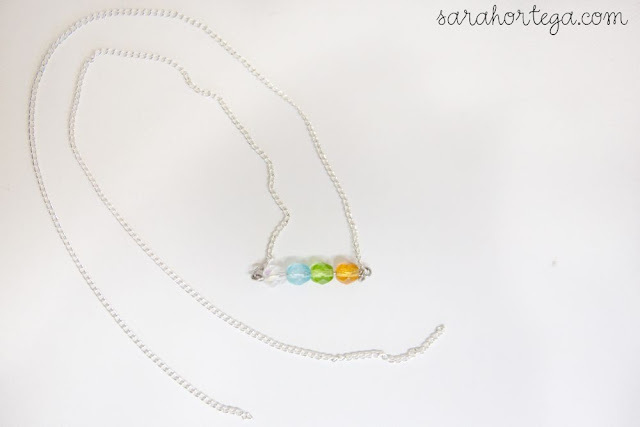 Each birthstone represents one of her four grandchildren. 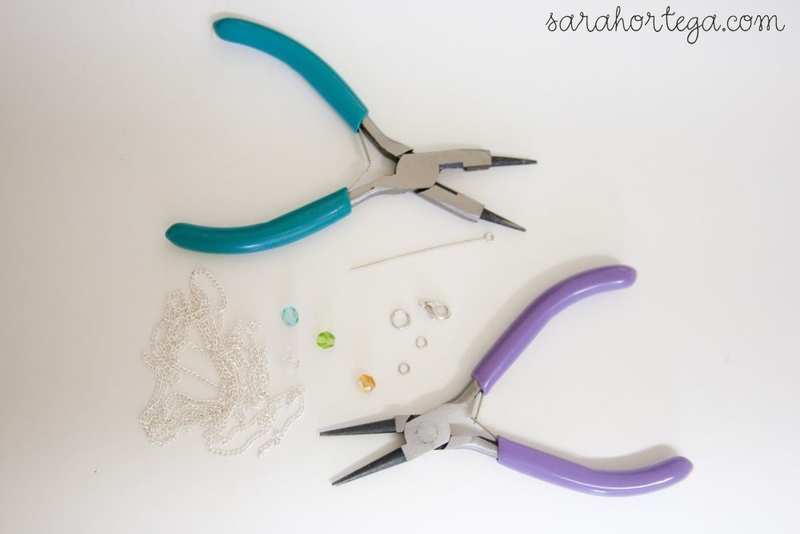 Have fun making your own birthstone jewelry! **You can purchase a custom birthstone bird nest necklace via my online Etsy shop, Poppy & Pine. Cheers and happy shopping! Thank you! 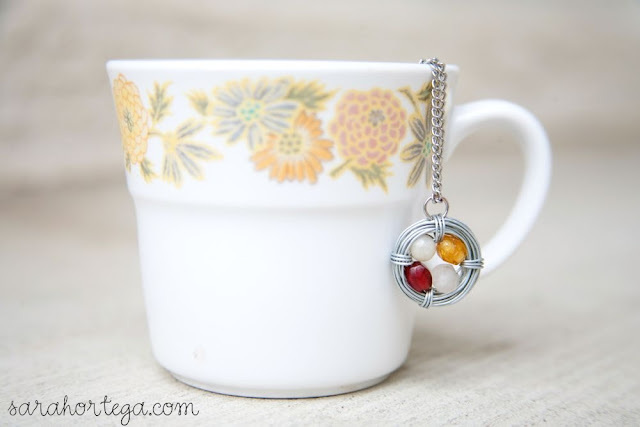 I really love your tutorials - they're simple and easy to follow and the pendants look great. That's a perfectly hand-crafted jewelry. Thank you so muh for sharing this one to us. I'm here to congratulate you on the birth of your wonderful son. He is gorgeous! These days will be busy, I guess. Enjoy your little kids as much as you can. Thank you so much for sharing these tutorials. I am on the hunt for some handmade teacher gifts for the end of the year, and these will be perfect! Congratulations on your new, sweet little baby! Enjoy every second! 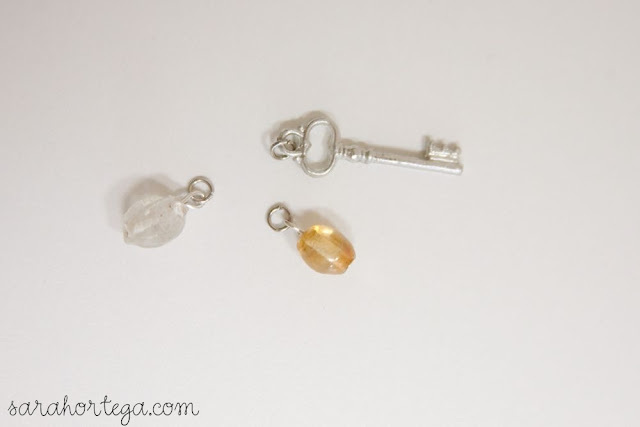 I stumbled across your blog today :) I love it and your jewelry is beautiful! Your jewelry designs are beautiful, your tutorials are so thorough and your photography and styling for your photos is STUNNING! So much inspiration! I used your bird's nest tutorial to create some of my own and they are so fun to make! Thank you for so generously sharing your tips and how-tos. I thank you for the tutorials, but got to be honest with myself that jewelry making isn't my thing. So THANK YOU for Pine and Poppy and the ability to get the birds necklace pre-made! My mom LOVED it for Mother's Day. Even the wrapping was adorable! You are so talented Sarah! Such beautiful pieces...just found your blog via Pinterest, and I'll definitely be following. : ) Hope you have a wonderful week!